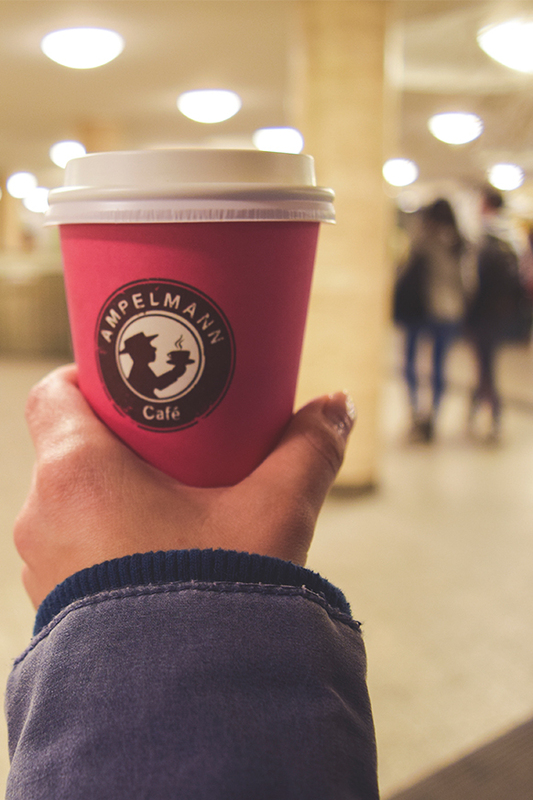 Coffee is not just a drink, it is the one ritual to start the perfect day. 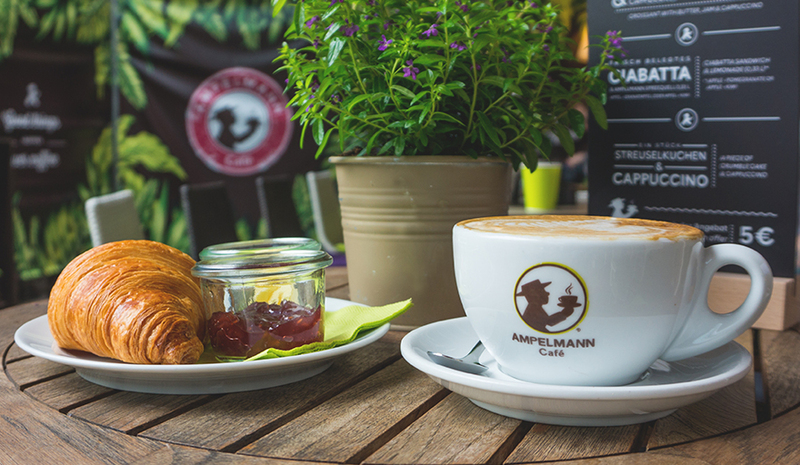 Trust us, our aromatic fairtrade coffee and our fresh croissants make the ultimate start into your day! 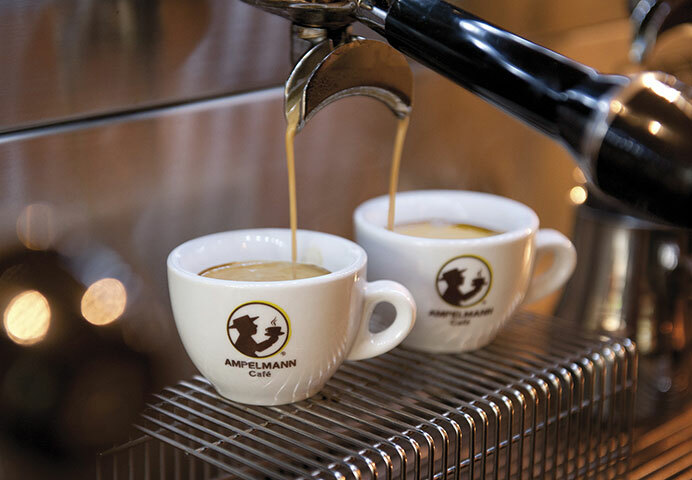 Our Café at the Ku’damm is integrated into the local AMPELMANN Shop. Berliners and Berlin visitors meet here to strengthen themselves for the day to come. 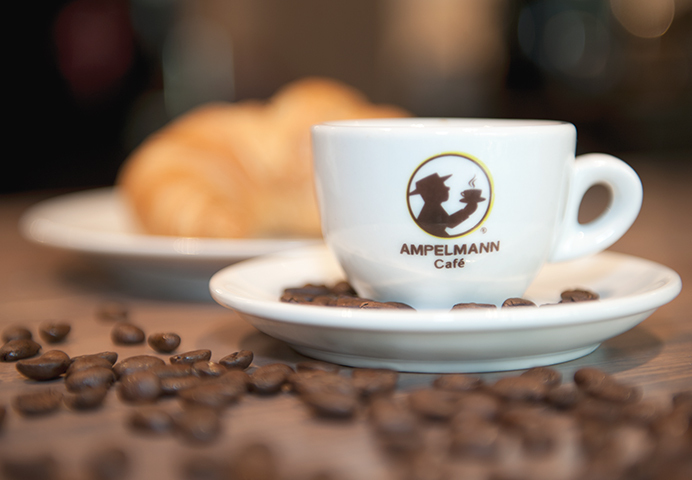 We serve our guests coffee and tea specialties as well as pastries directly from the oven. 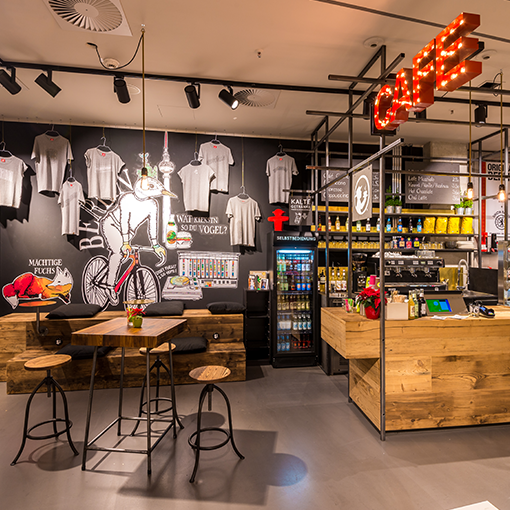 All food and beverages can be ordered for take away, as life is hectic and Berlin full of adventures, sometimes there is no time to waste. 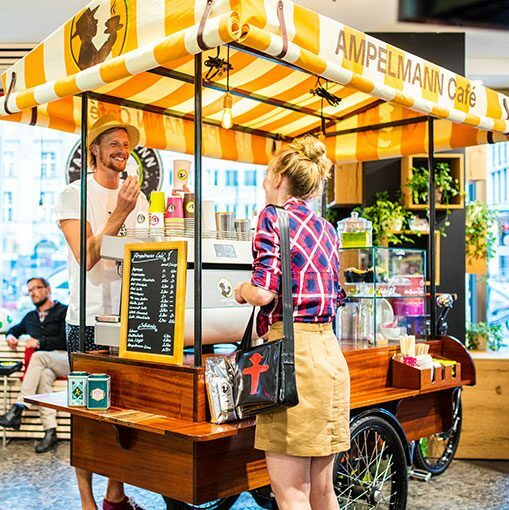 Our coffee bike gives new meaning to the phrase “coffee to go”: it offers coffee specialities such as cappuccino or latte macchiato right in front of our Flagship Store Unter den Linden store. The bike is equipped with a portafilter machine and a friendly barista, who is ready and waiting to fulfil your coffee wishes! 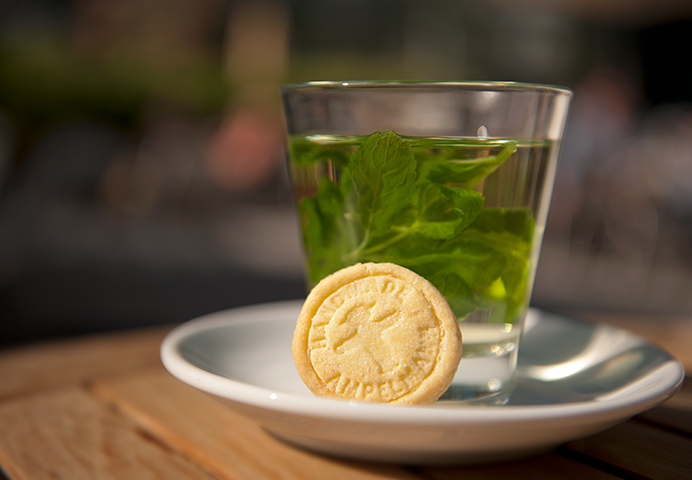 If you need a break from the shopping hustle and bustle at ALEXA, our café is the place for you! Make yourselves comfortable and recharge your batteries over a cup of coffee and delicious snacks. Is your smartphone’s battery empty too? No problem – sockets are available for tired devices.